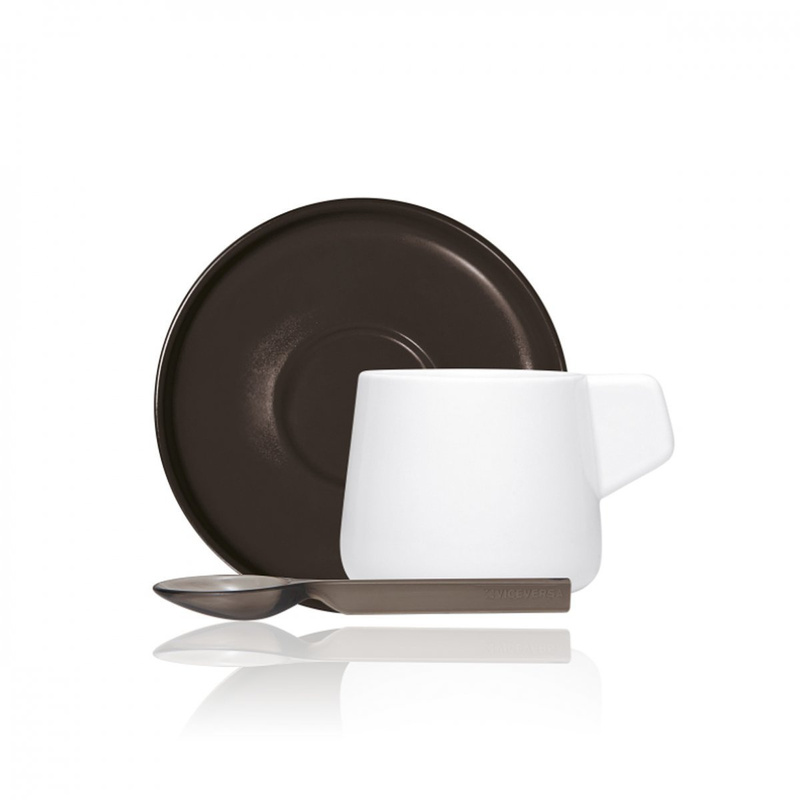 The 2 Caffeina coffee cups with saucer and spoon proposed by brand Viceversa are the ideal choice for the kitchen. 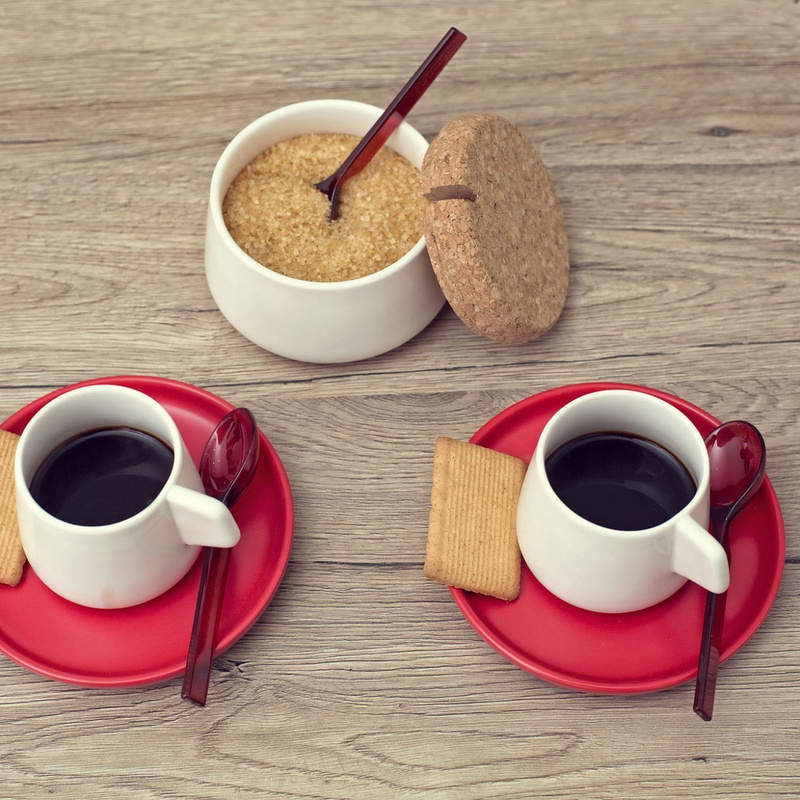 Coffee breaks are a very important way to reenergize you while also chatting with friends and family. 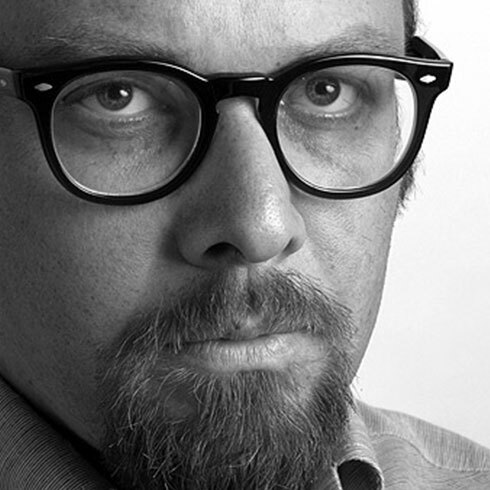 This means that having the right tools and setting is fundamental. Waking up in the morning, still drowsy and sleepy, you need something to help you start your day on the right foot. This coffee set on the table will make you feel at ease, headlined by atypical shapes that accompany us during our morning coffee. 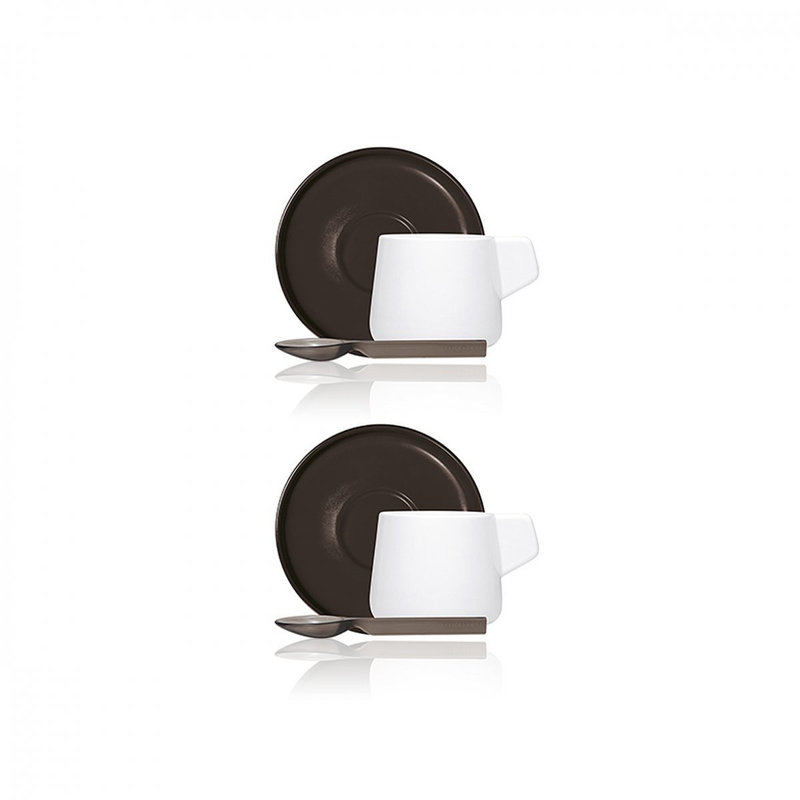 The matching round saucer will create a contrast of colours where the foam of our good coffee will emerge successfully. The attention to detail in the spoon’s design will add an aesthetic appeal to the composition. It’s use isn’t limited to the kitchen, however, as it will fit perfectly with any modern or refined design. The pieces will adapt perfectly to any object in the kitchen, especially if they are other appliances or cutlery from the same brand. Even during the day, when you invite a friend or loved one to come visit, the first thing you do is offer coffee. An action that may seem so simple is in reality the best way to welcome someone into your home. 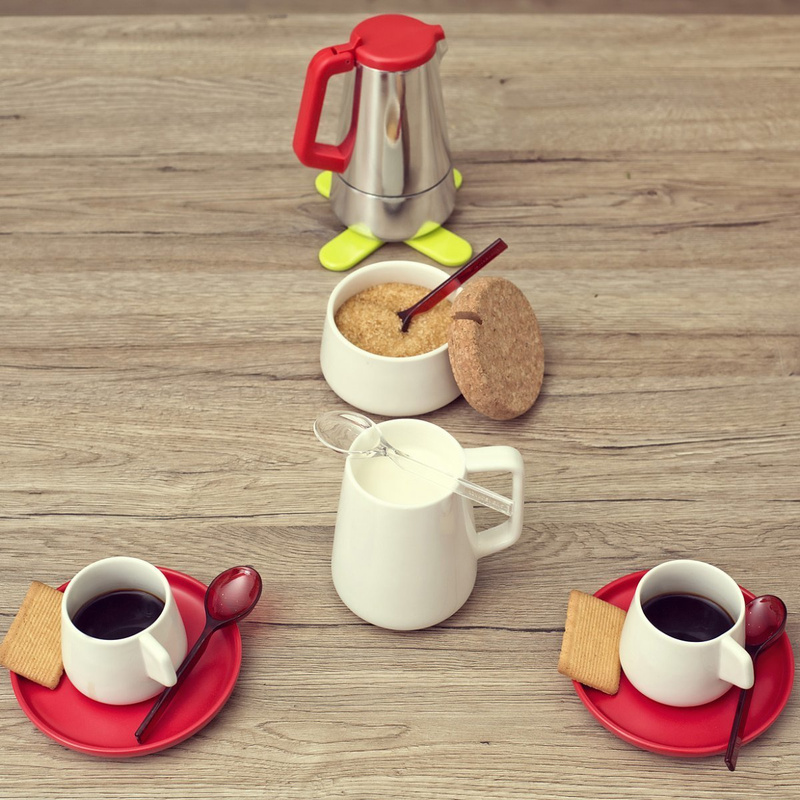 Setting the table with 2 Caffeina coffee cups with saucer and spoon will show your guests just how detail-oriented and welcoming your house is. 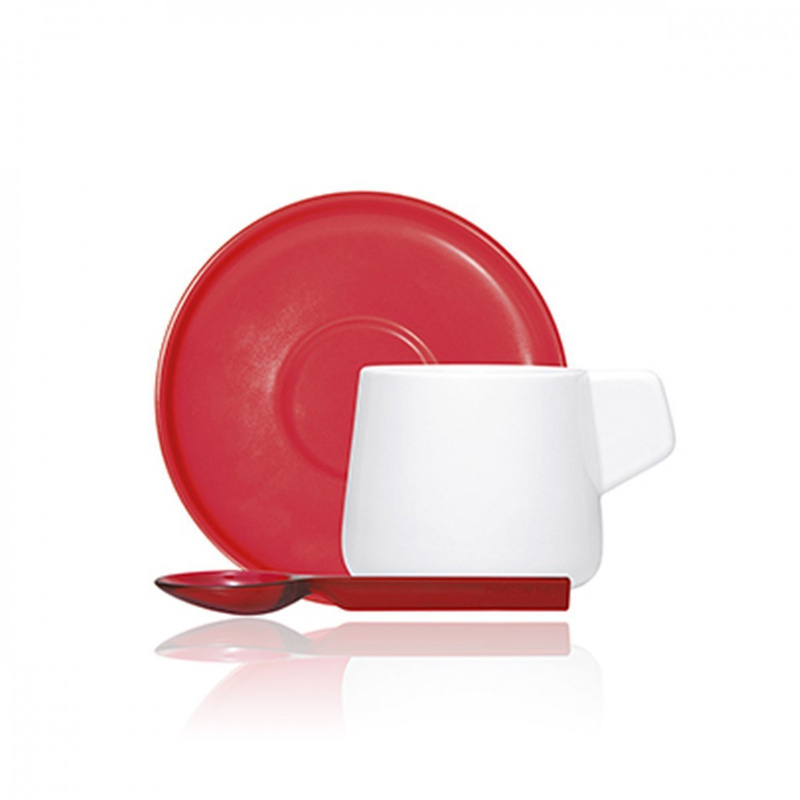 You can buy other dishes or pieces of cutlery with the same style to give a continuous feel in the kitchen. When done with the set, you can keep the coffee cups in a glass cupboard or on the window sill, just like a precious ornament. Info: heat retention features. The 2 spoons are not microwave safe, while the cup is microwave and dishwasher safe. Set equipped with gift box.